So, one of the great things that iOS introduced back in iOS 6 was the ability to synchronize your text shortcuts across devices. So, for example, if you set up “@@” on your iPhone to expand to your email address, that same shortcut would show up on your iPad. With OS X Mavericks, this ability comes full circle to your Mac, letting all iCloud-synced devices have the same text shortcuts on them. It’s really not much more complicated than making sure iCloud is enabled on your Mac. 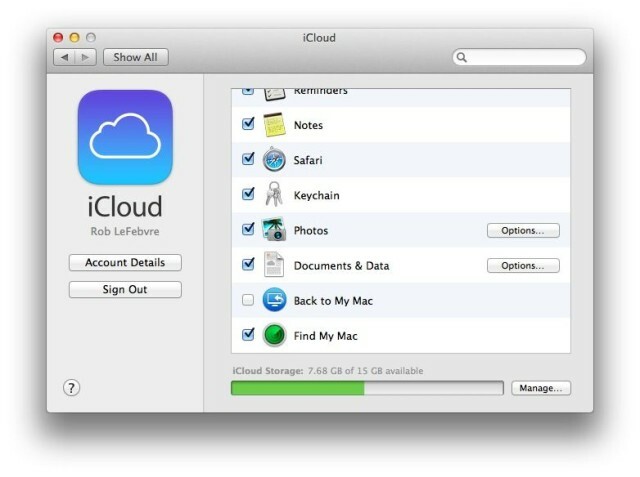 Do that by launching System Preferences, and then clicking on the iCloud icon. Once in the iCloud preference pane, make sure that Documents & Data is checked. Now, do the same on all your Macs (as well as your iOS devices) and you’ll be text shortcutting on all of them. Add a shortcut to your iPhone, and it will show up on your Mac. Delete a shortcut on your Mac, and it will leave your iOS devices. It’s all very easy and useful. If you want to stop any specific device from syncing any changes to the other iCloud-enabled devices, then simply turn off Documents & Data for that device.